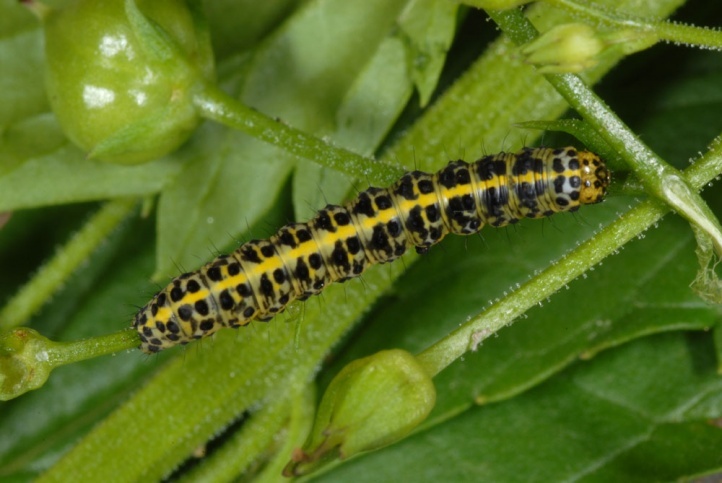 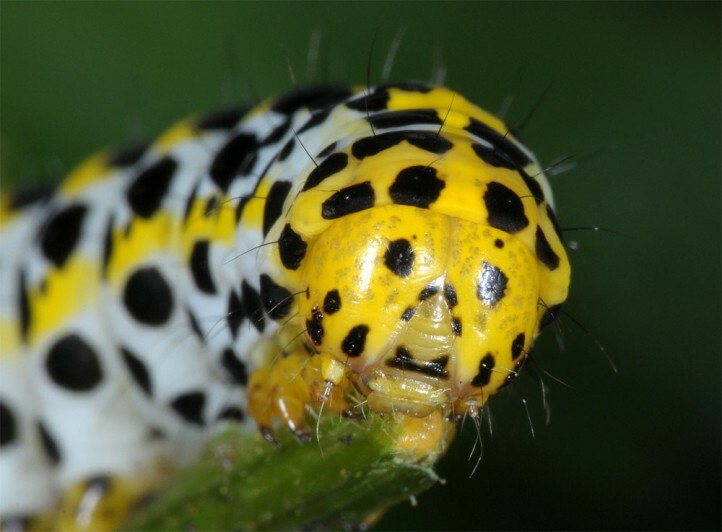 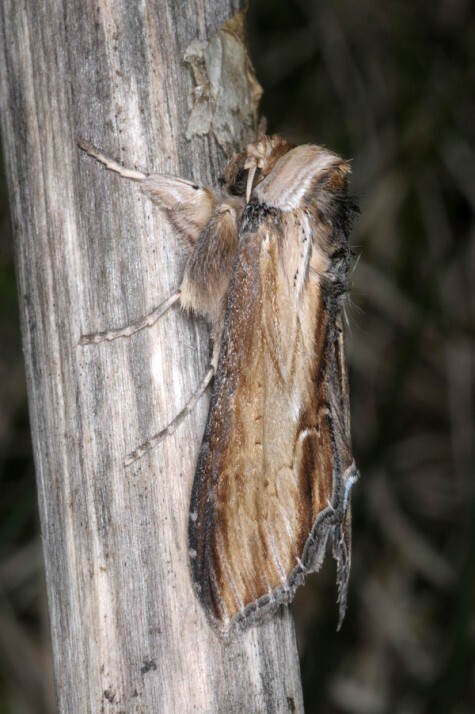 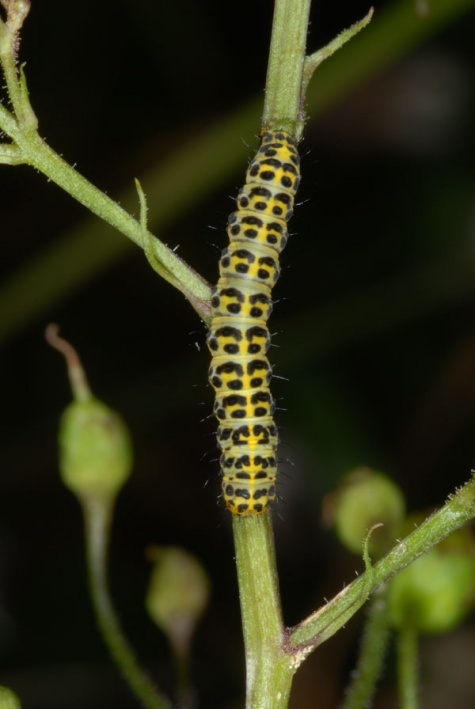 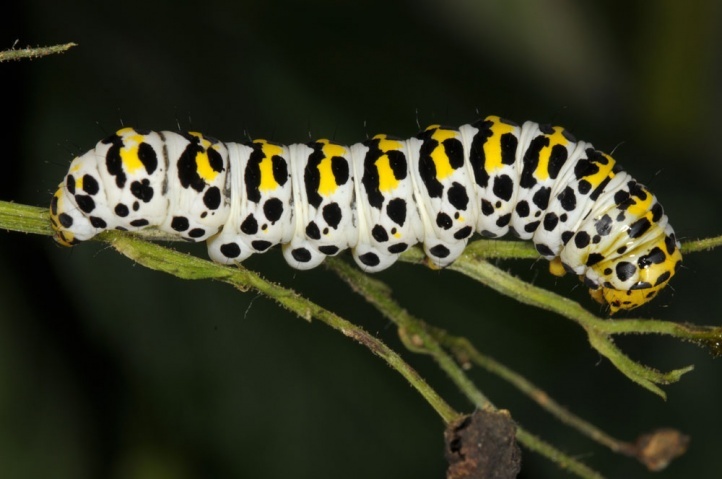 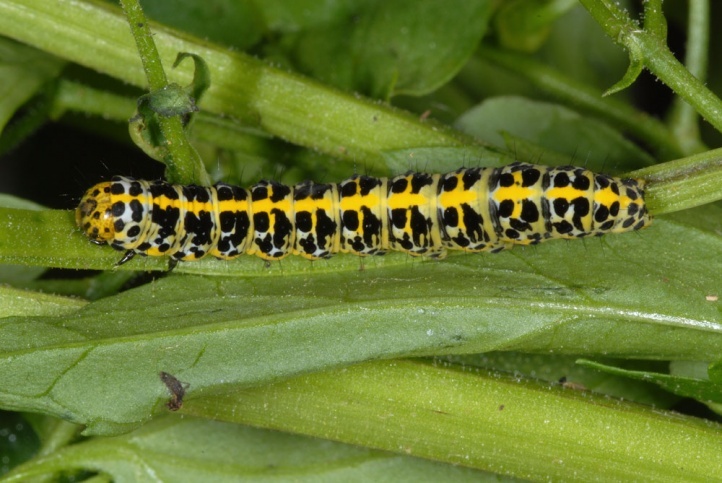 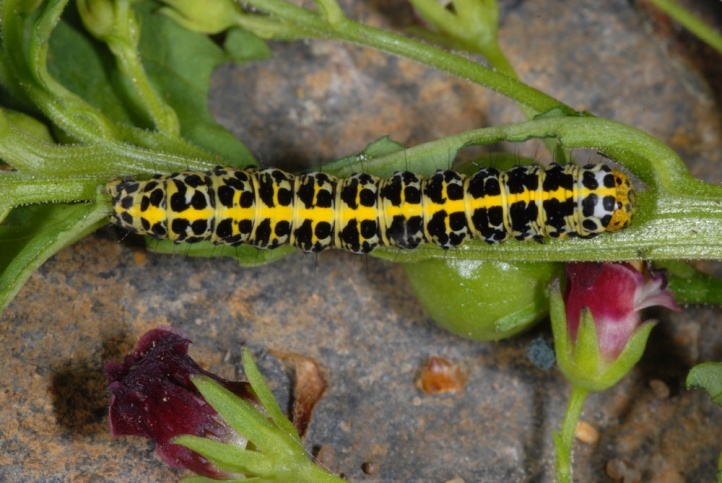 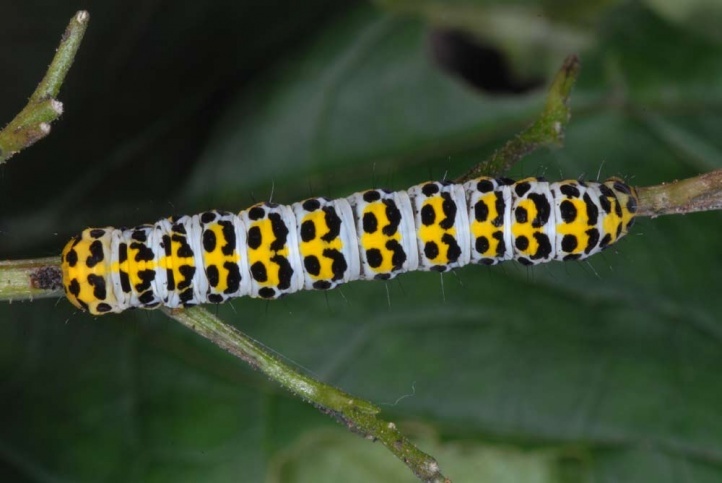 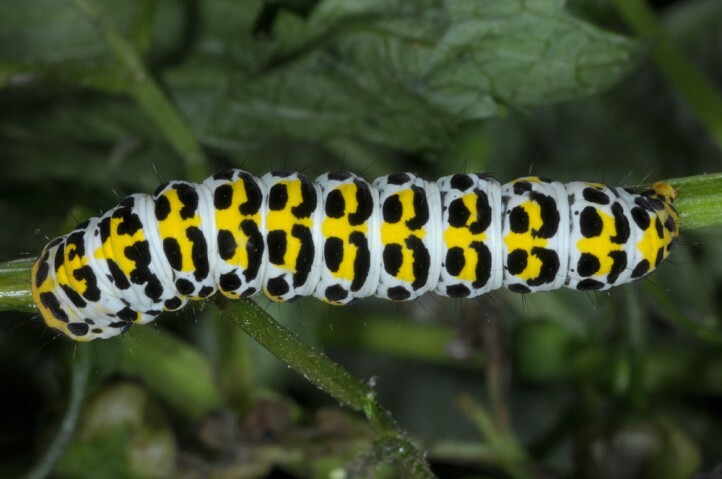 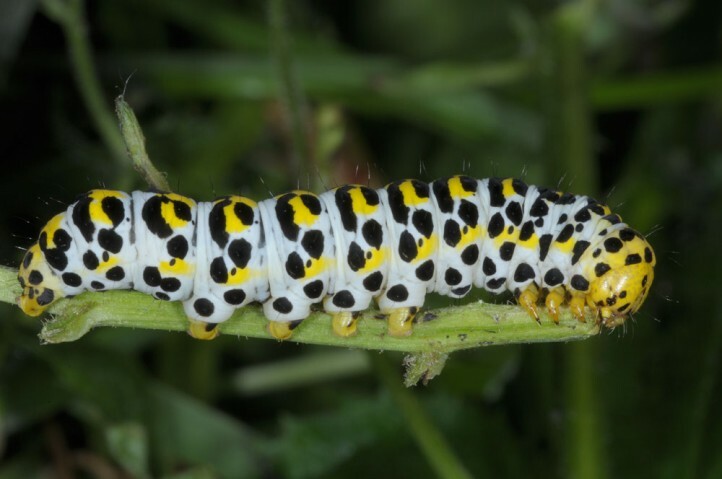 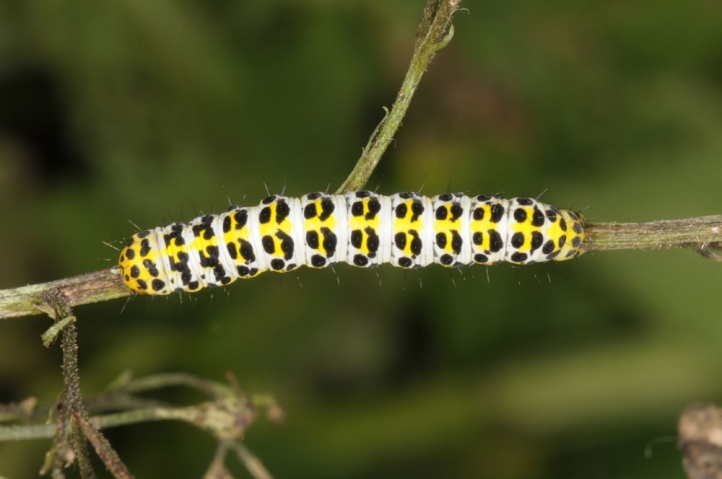 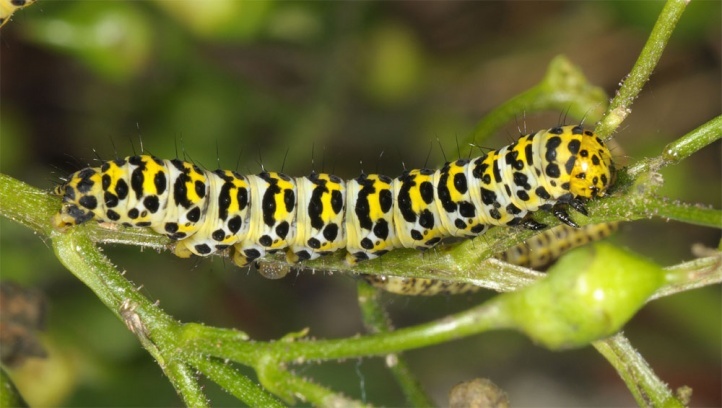 The caterpillars live mainly on Scrophularia species as Scrophularia nodosa. 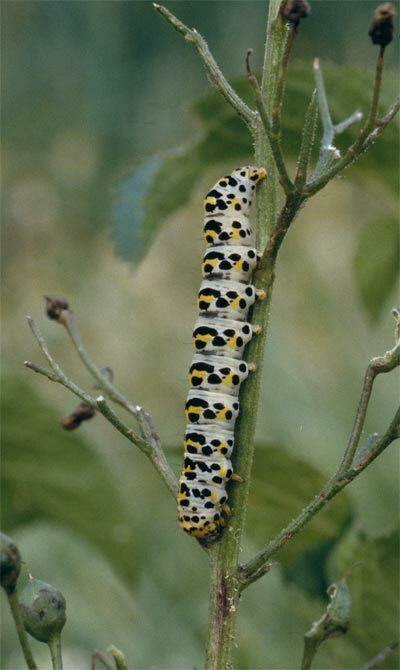 According to literature, they are very rarely also observed on Verbascum species. 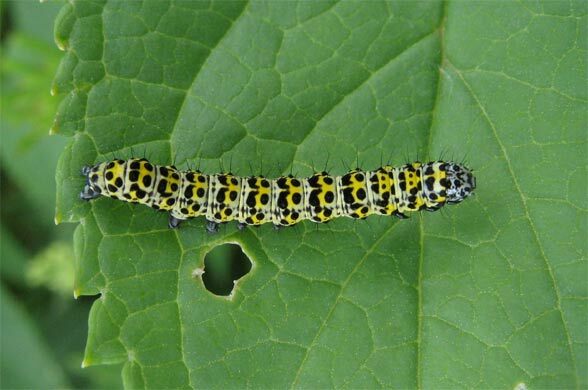 Cucullia scrophulariae inhabits forest edges, clearings, woodland trails, wetlands, herbaceous communities and ditches with Scrophularia species. 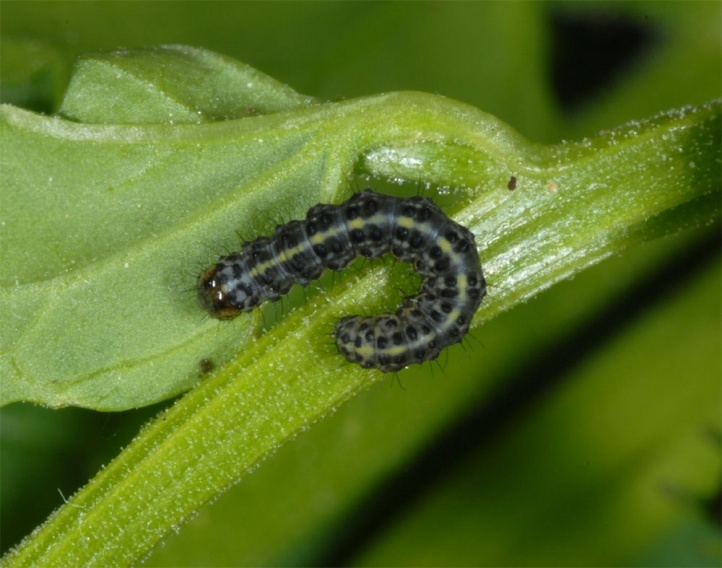 I found many larvae in humid herbaceous forest edges in the Swabian Alb. 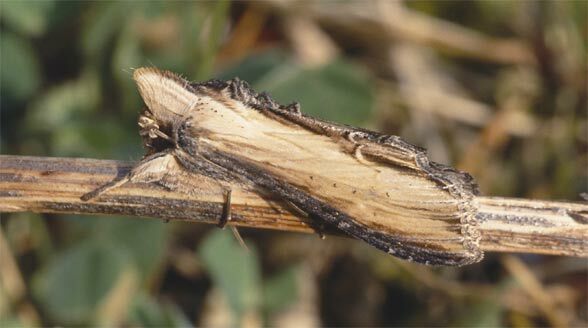 Cucullia scrophulariae has a single generation from mid-May to early or mid-July. 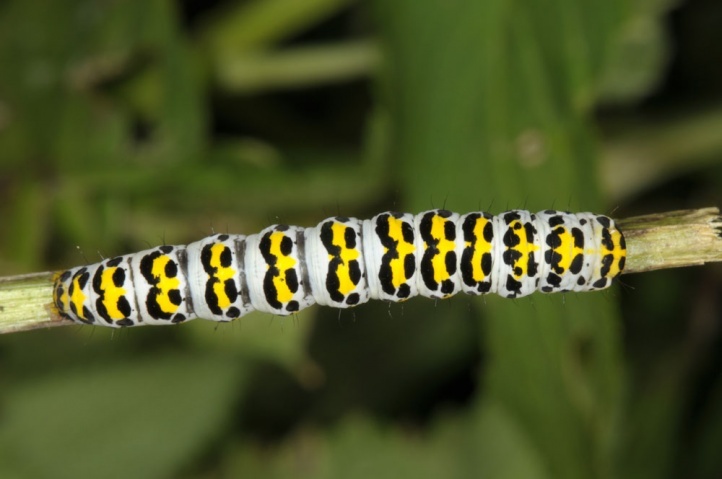 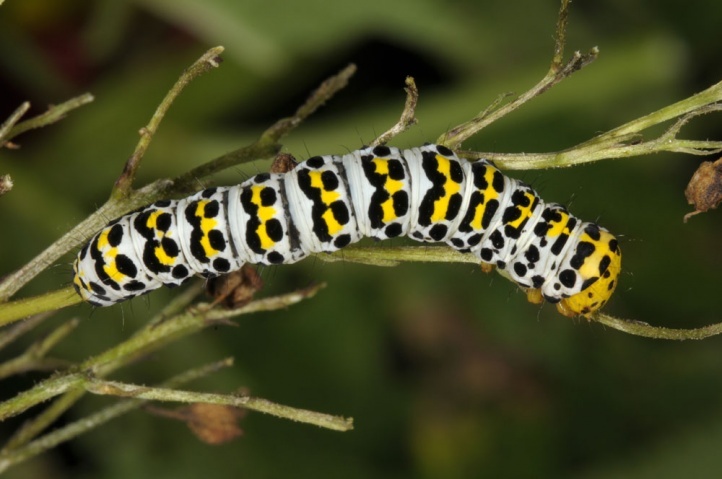 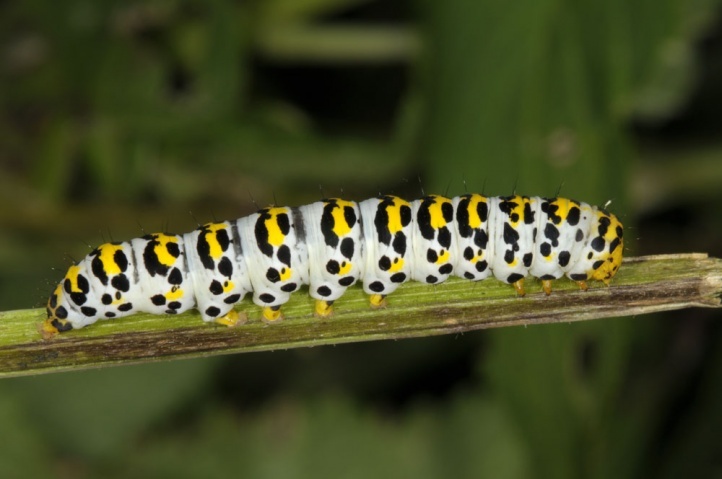 The caterpillars are observed in June and July, more rarely still in early August. 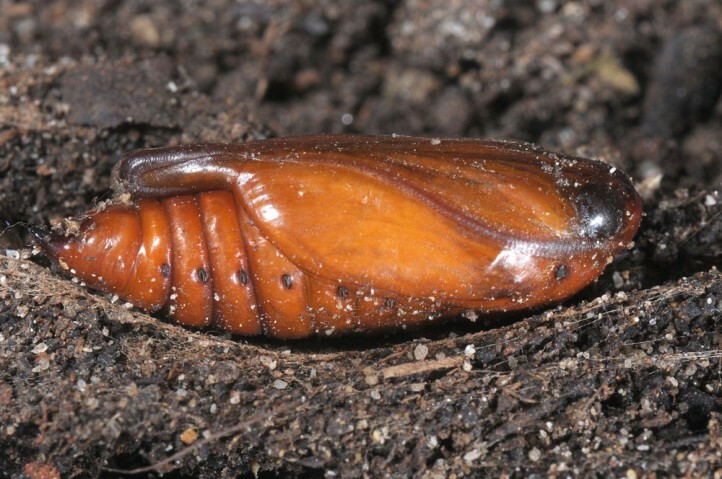 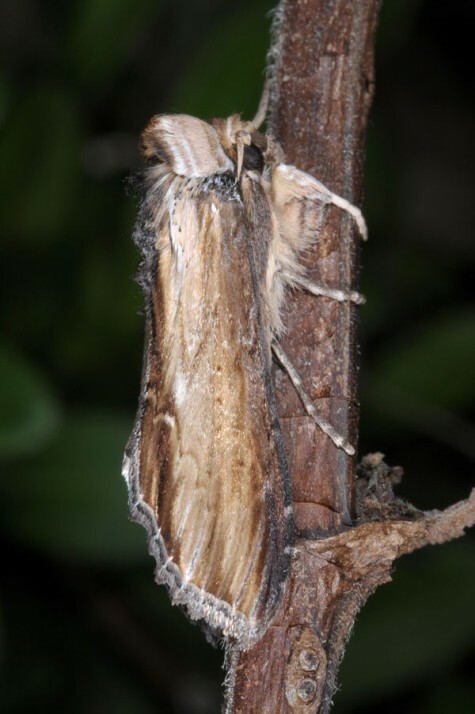 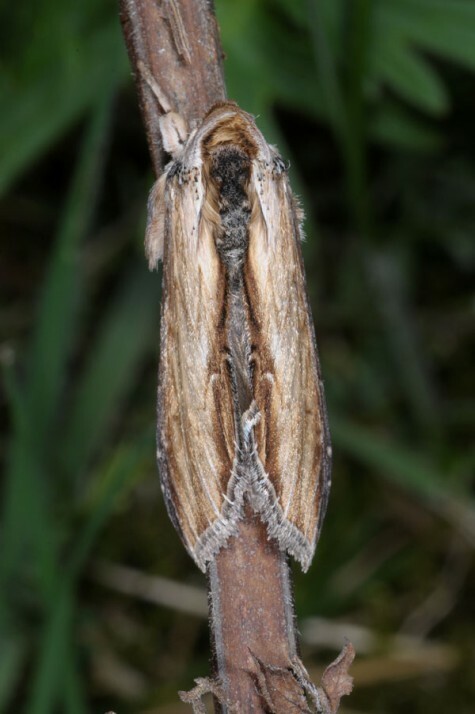 The pupa overwinters as with all Cucullia species in a dense cocoon on the ground. 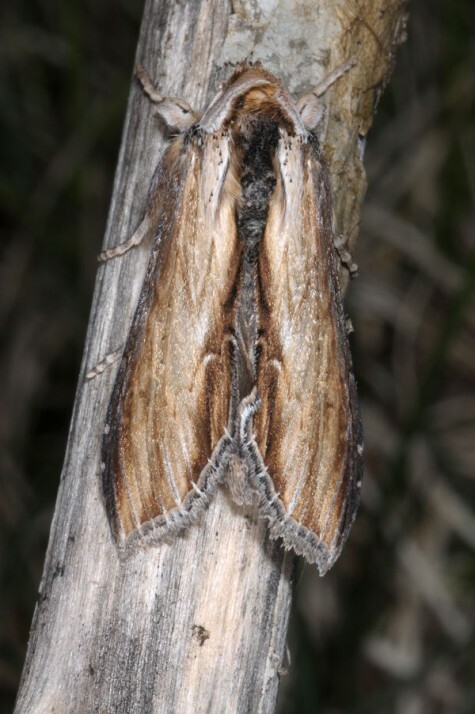 Cucullia scrophulariae is in decline (dark forest management, destruction of vegetation-rich ditches, etc. 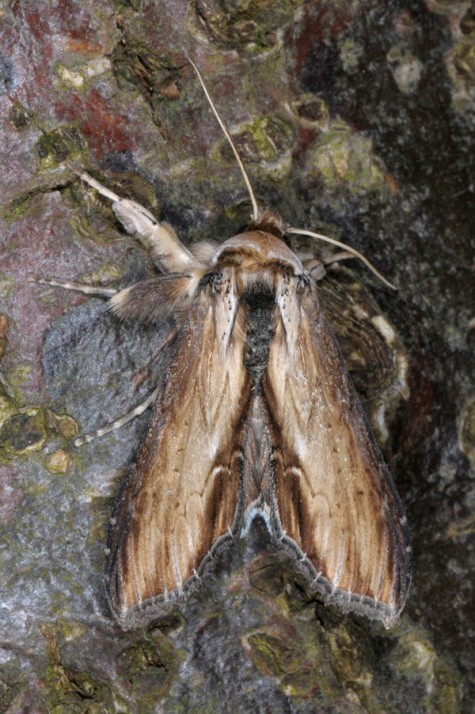 ), but is not threatened existentially because of its adaptation to forest habitats. 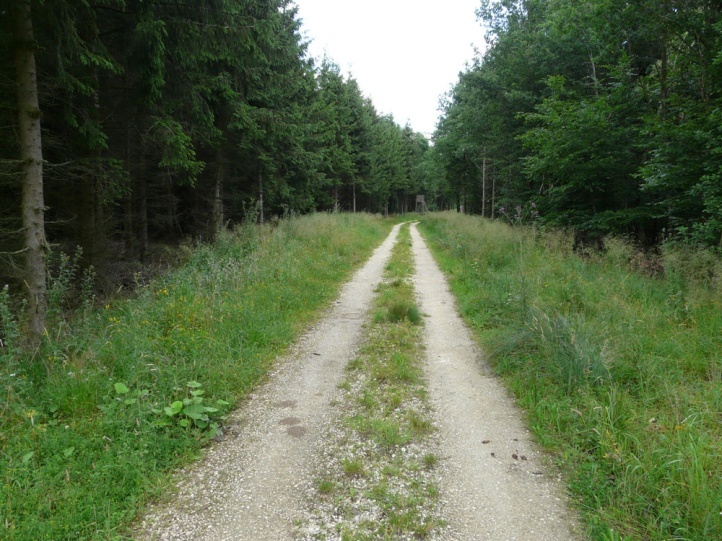 The total distribution extends across large parts of Europe. 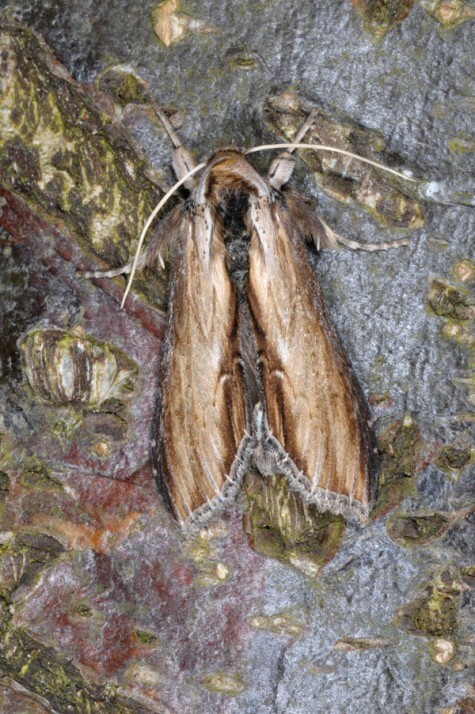 Whether Cucullia scrophulariae also penetrates further into Asia, is not yet well established.